A rare and historically important Danish oak secretaire of elegant proportions with original locks, beautiful broken pediment cornice, neo-classical columns and wood carvings. Circa 1780. 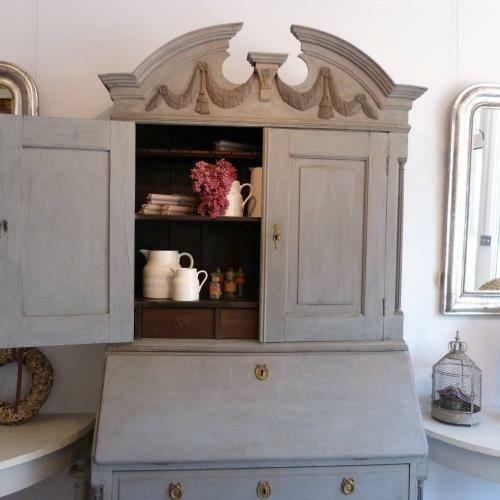 An outstanding, signature piece of Gustavian period furniture with early paint (refreshed). It`s oak construction and decorative details set it apart from more common Swedish pine secretaires.